Enjoy the quaint historical country theme at this playground that includes signage explaining how businesses like a general store and farm were run during colonial times. 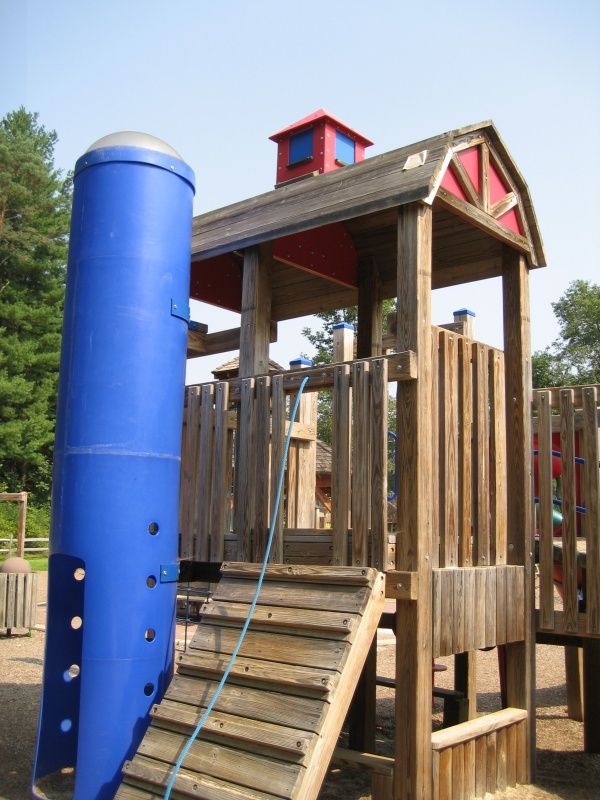 This completely fenced in playground features buildings to explore a multi-tiered sandbox and challenging spider web climbing structure. It’s constructed of wood, plastic and trex materials. The sandbox is often stocked with toys and is sure to keep your young ones entertained long enough for you to relax a bit.